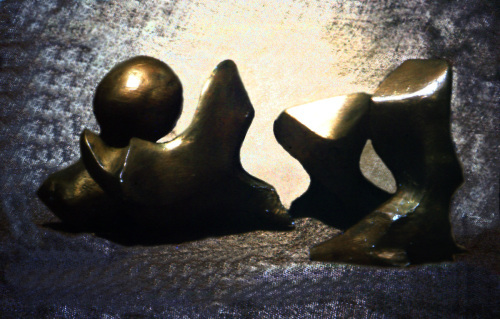 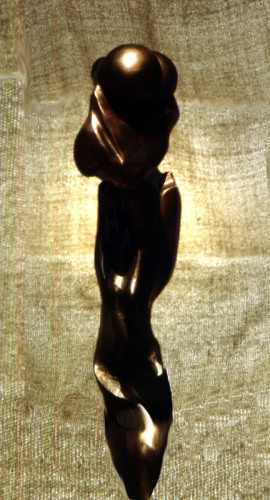 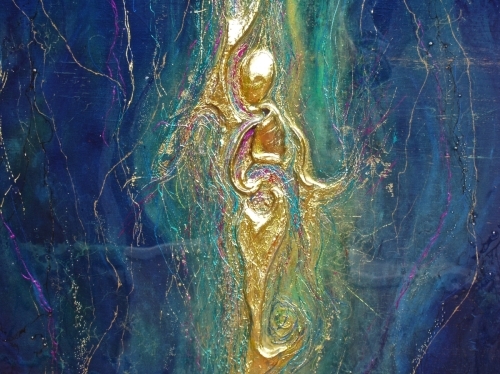 3-d low relief gold sculpted figure floating in a sea of saphire. 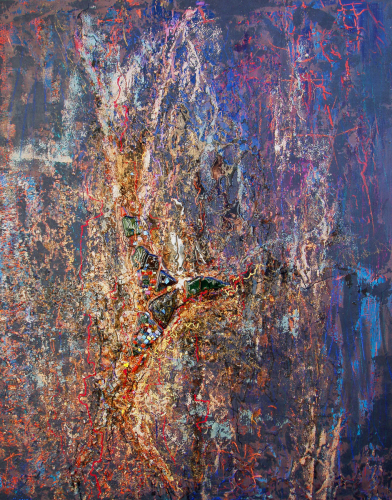 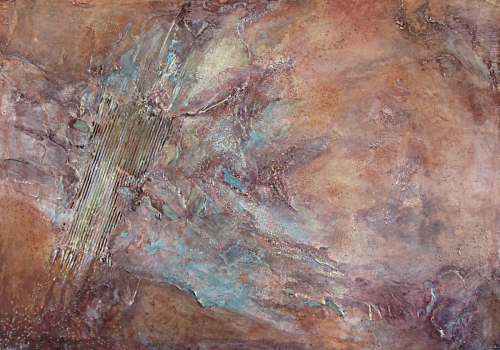 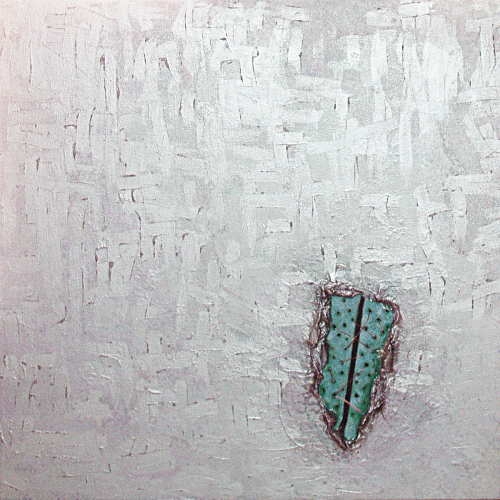 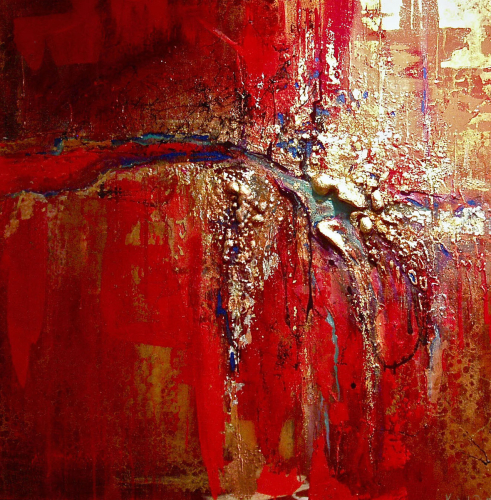 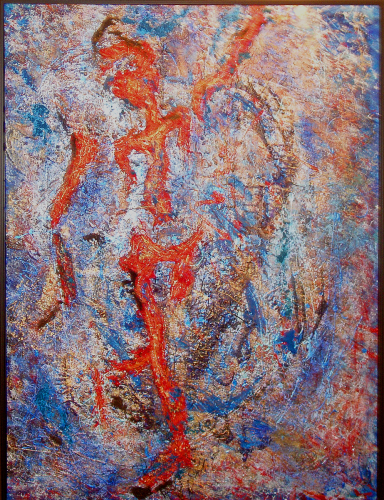 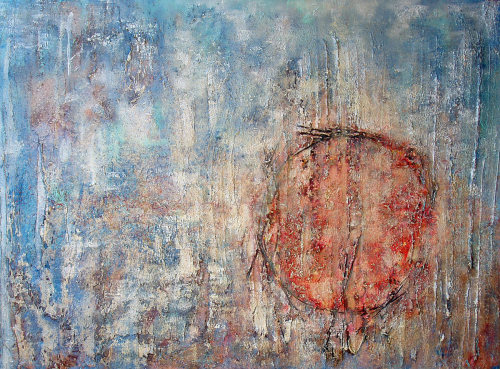 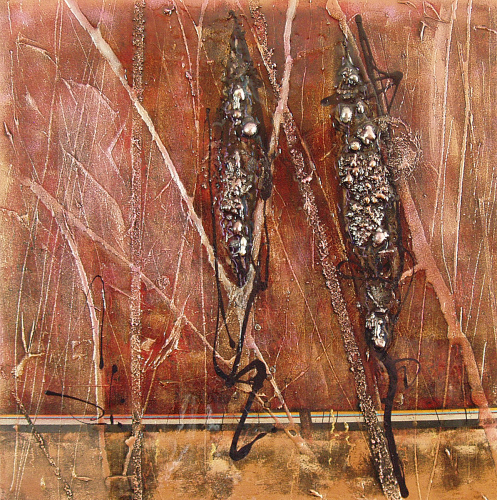 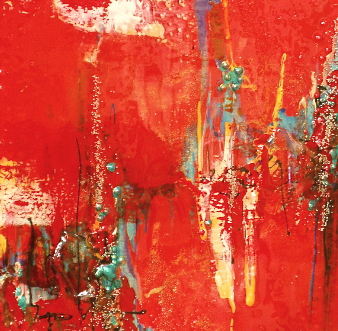 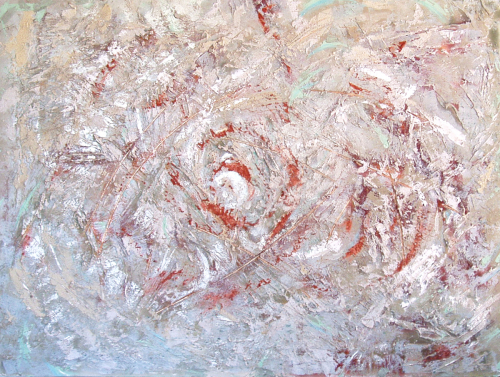 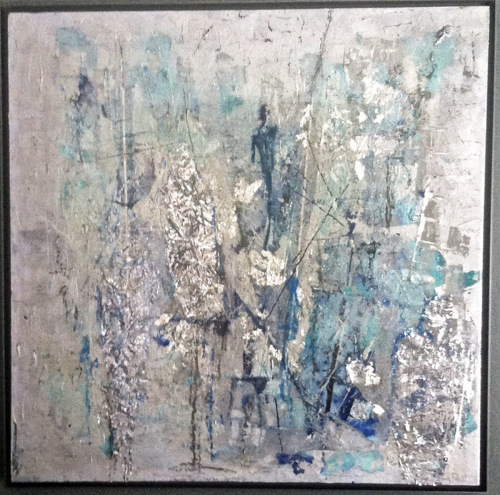 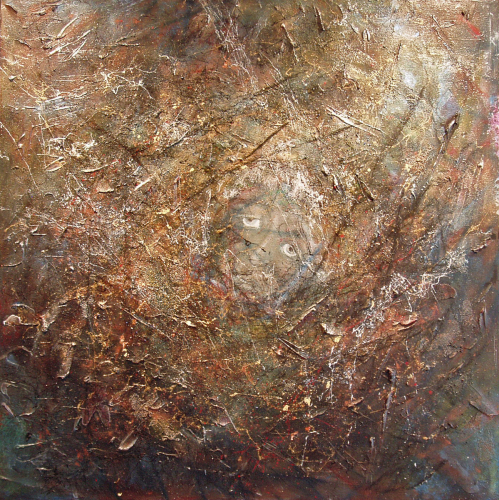 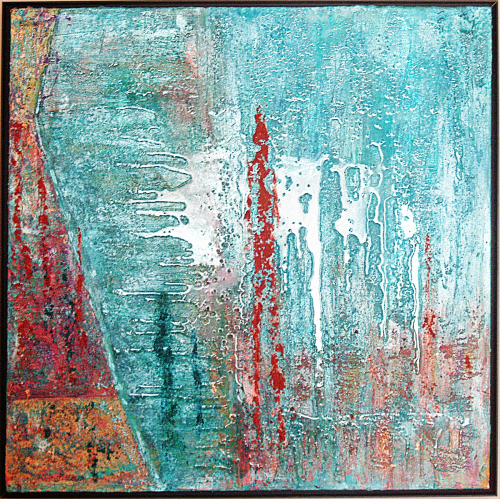 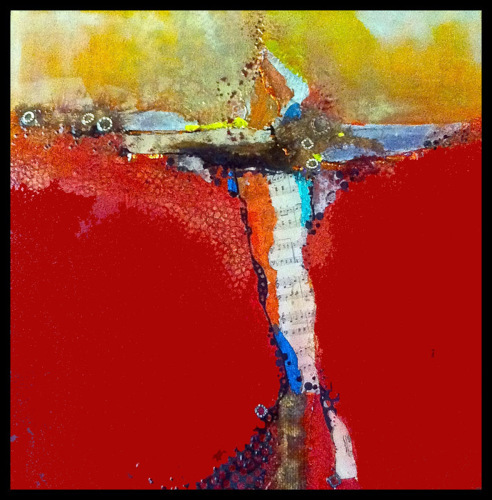 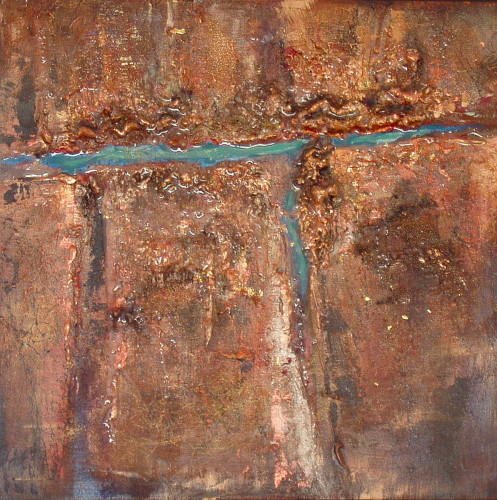 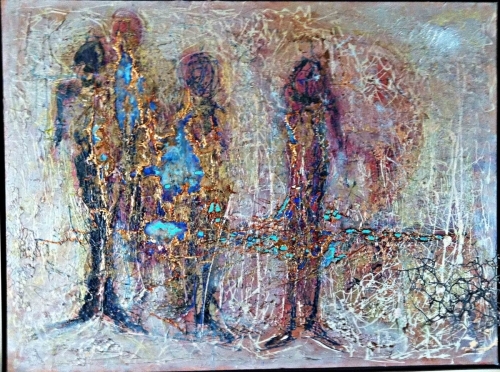 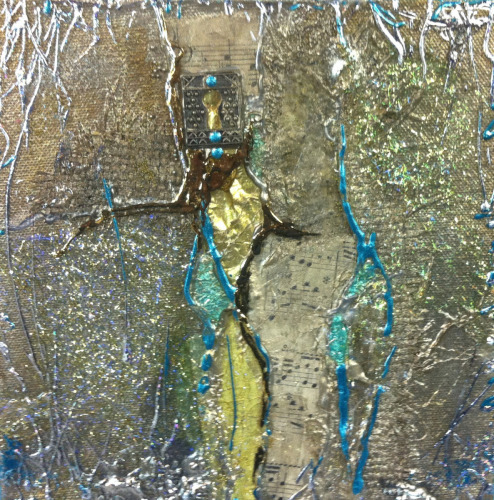 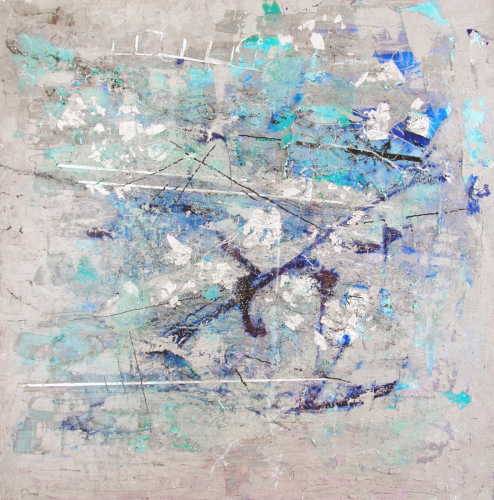 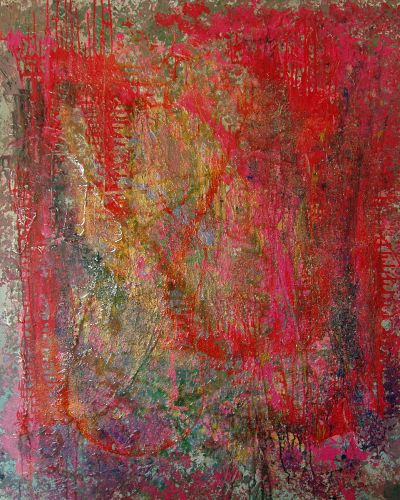 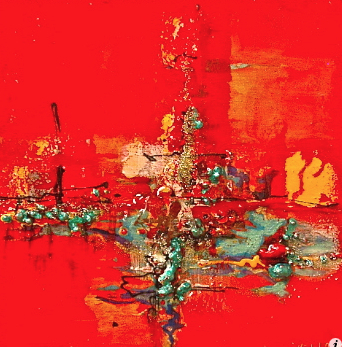 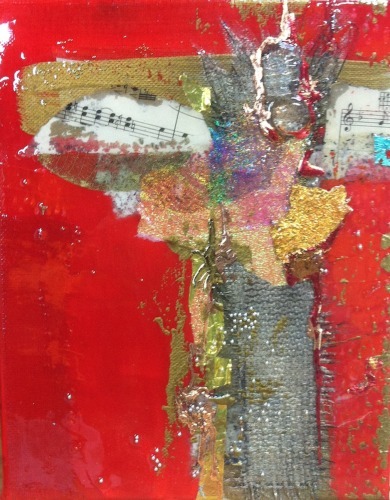 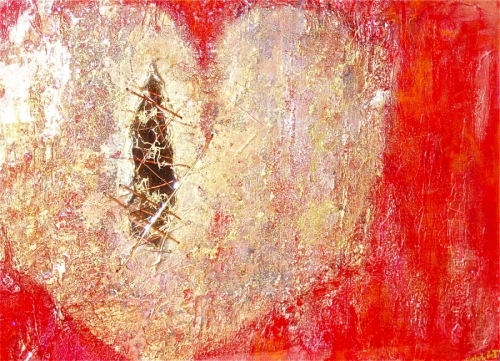 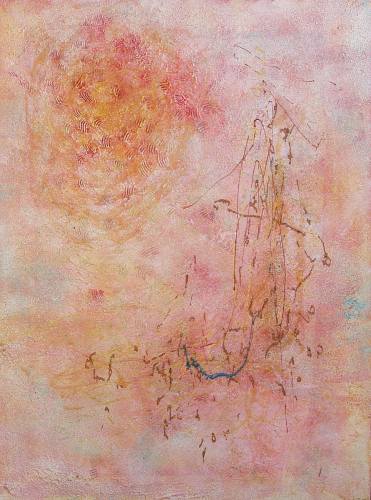 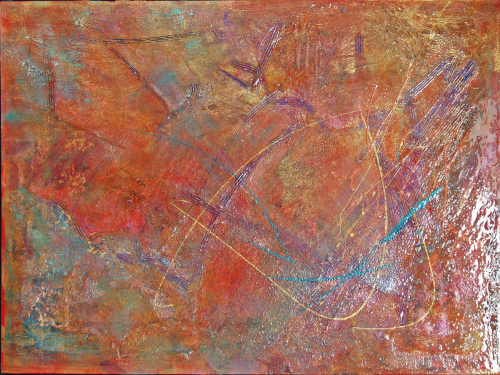 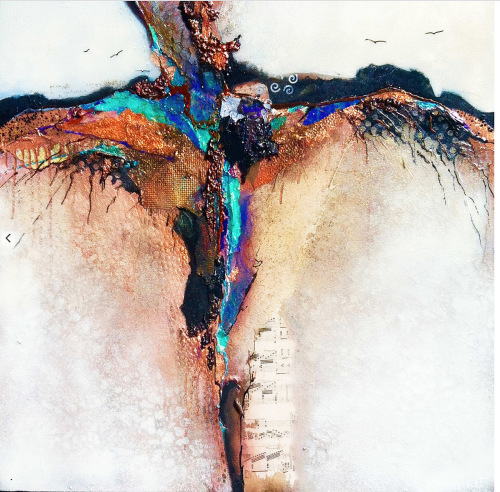 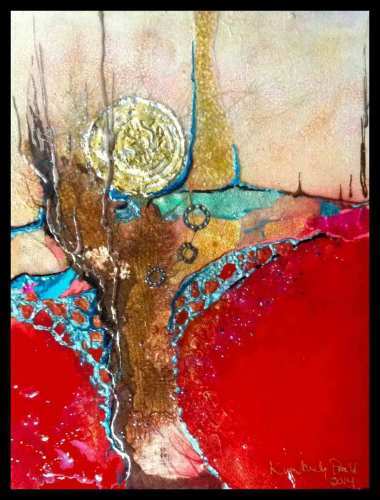 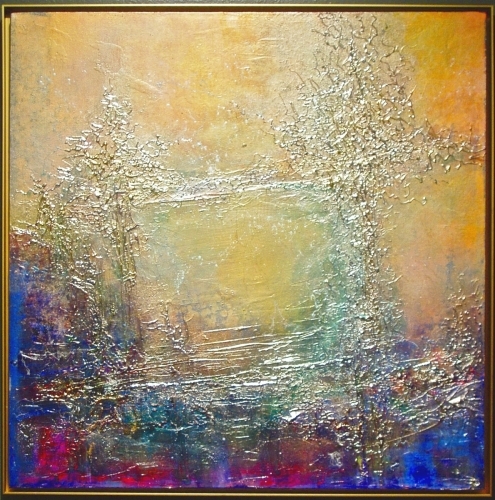 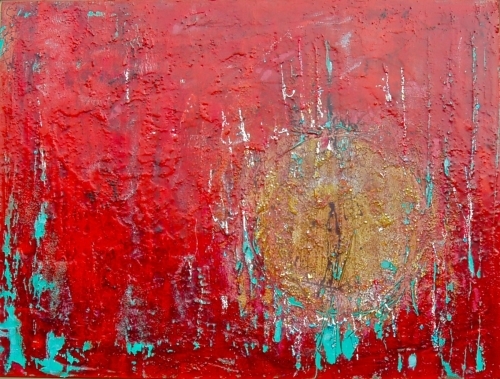 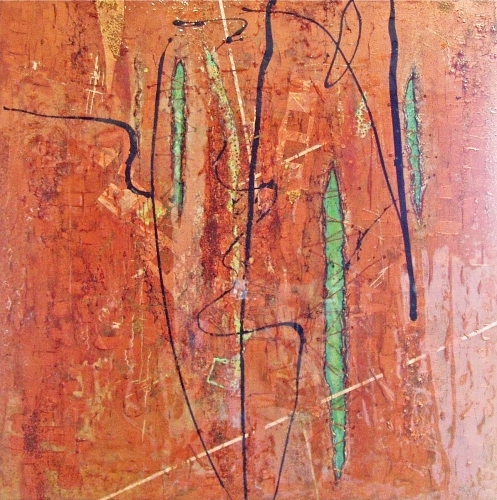 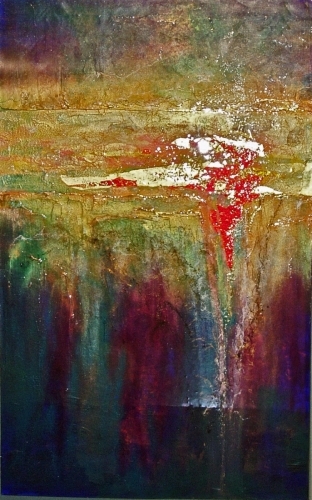 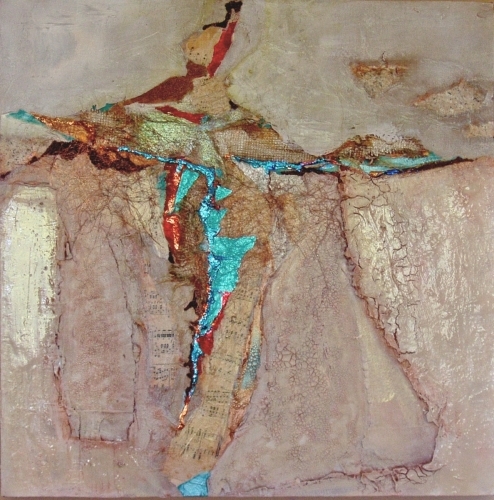 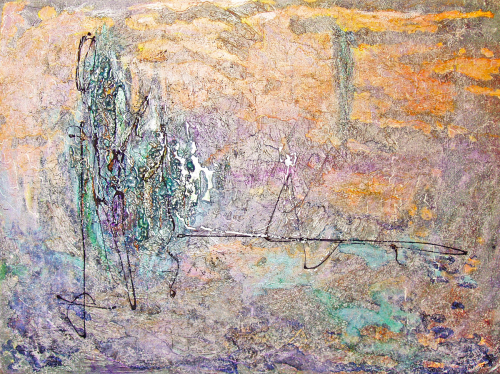 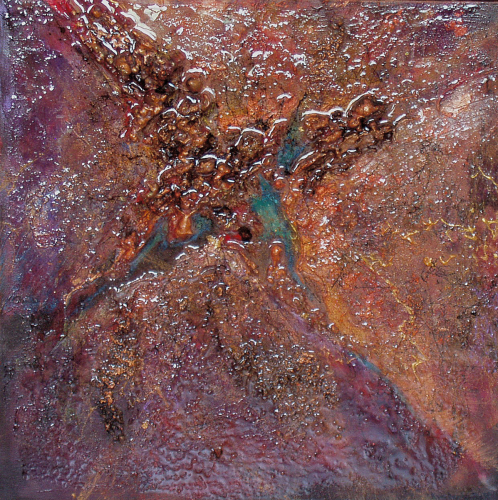 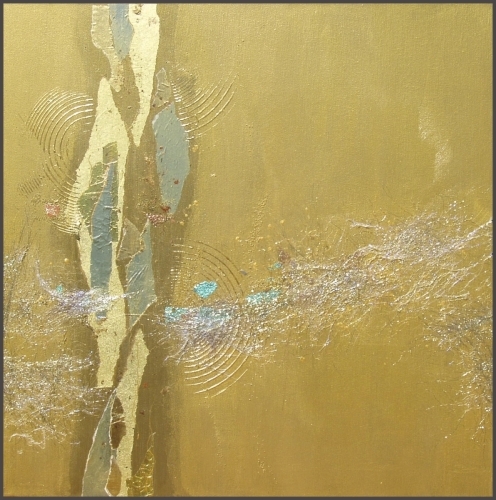 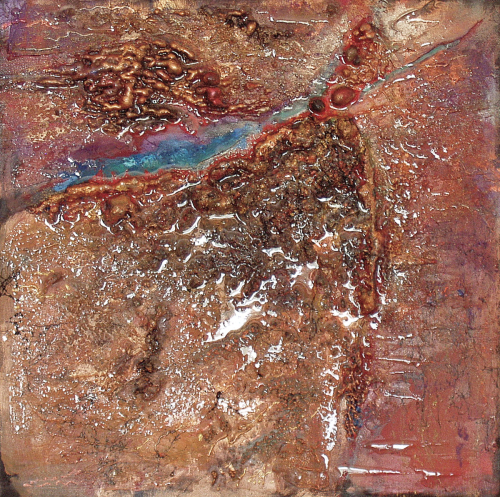 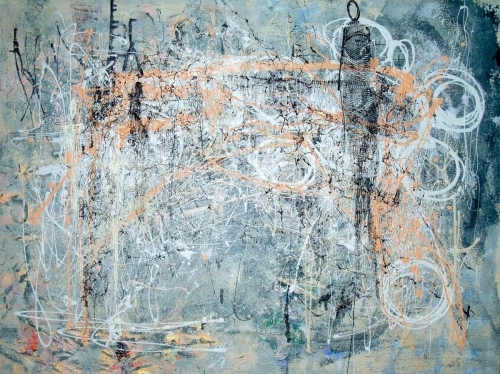 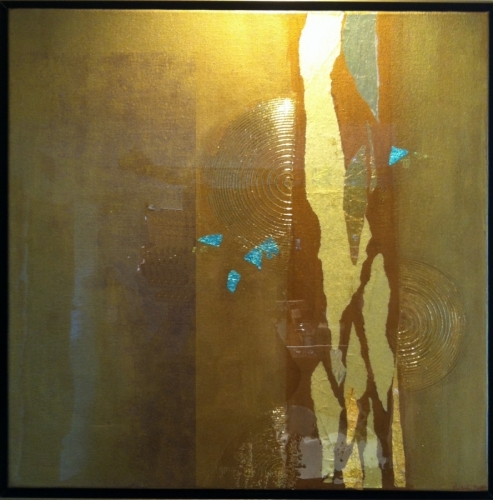 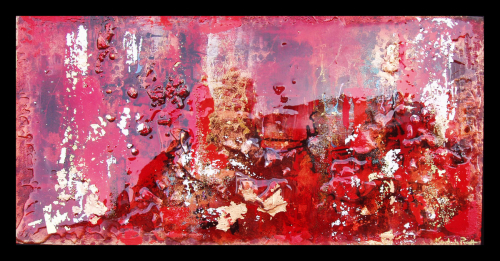 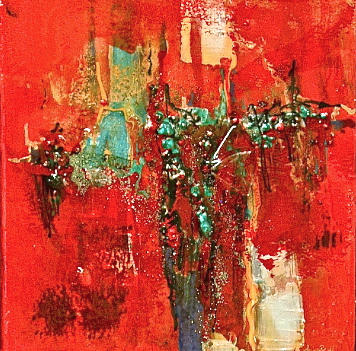 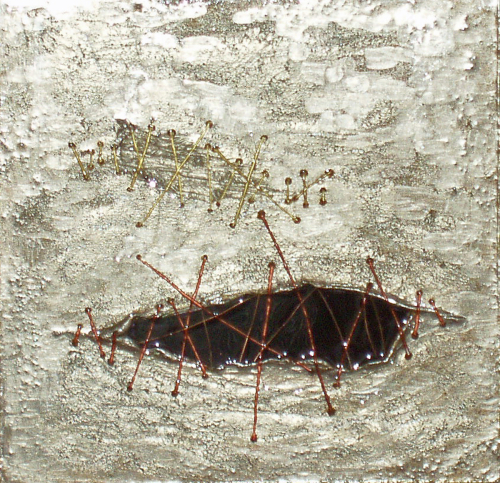 Acrylic and glass/mixed media on canvas with resins and foils. 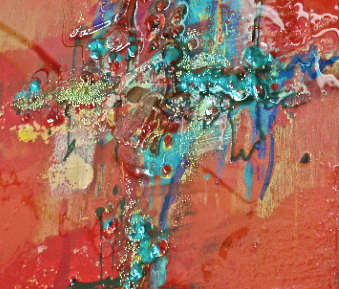 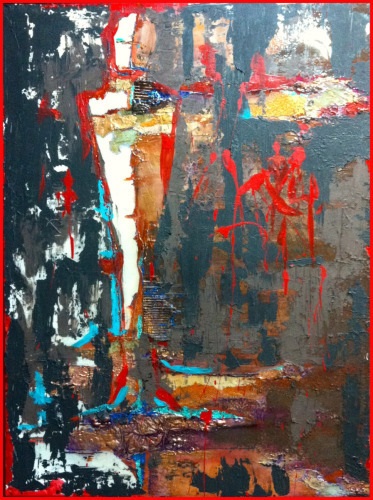 Acrylic mixed media on canvas..very glossy.